It's time again for five more 67 Not Out Reader's Coincidence Stories. My thanks to the contributors - appreciated very much. Sometimes coincidences aren't exactly earth shattering but they can still be very meaningful for the person concerned, as in the case of the first story from Amber. Three of the stories feature numbers. I had another coincidence yesterday that meant a whole lot to me and I wanted to share with you. My dear father passed away two years ago and yesterday was his birthday. I went to the grocery store and got some items and my total came out to 6.59. The significance of that is, a few years ago we were both on our local volunteer rescue squad together, and you are assigned numbers to identify yourself on the radio. 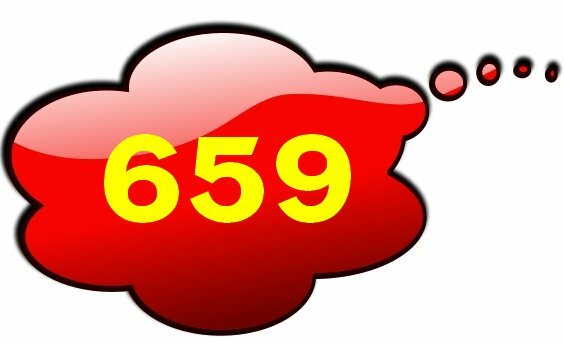 My fathers just so happened to be 659. I've never gotten anything with a total of 659 and it was very special to get it on his birthday. I took it as a special message he was looking down on me. Yesterday I received a PIN number for a new credit card I had ordered. As per normal the number consisted of four numbers. The coincidence is that they were exactly the same as for a credit card that I already have. Must be quite big odds on this happening. My friend was doing up an old house so I offered to give him a helping hand. We got set into removing an old fireplace in the main living room. As we gradually eased the thing away from the wall we saw there was an old newspaper hidden in a kind of alcove. After removing the fireplace completely and dumping it in a skip outside we remembered the newspaper. "Look at this," said my friend, "The newspaper is the same day as today." I wasn't too sure what he meant but I took a look and the date on the paper was October 1st 1960. The date we were removing the fireplace was October 1st 2010, exactly 50 years later. This next coincidence is very much like the previous one, so I guess that's another coincidence. We married two years ago and were renovating a house we had moved into. At the time I was pregnant so my husband did most of the heavy work, while I supervised! He was working in what was to be our bedroom and there was a boarded up fireplace, but the previous owners hadn't done a very good job of it. My husband knocked in the boarded up part so he could re-plaster the area to make it all smooth with the rest of the wall. Behind the board was part of a newspaper, at the top was the date of June 23 (1970). Nothing too strange in this but our baby was born a few months later on June 23rd. I don't know if this was some kind of prediction or an omen. We called the baby June (it was a girl!) and I'm called April. I'm pregnant again but I can't see us calling a son or daughter February! I've been reading your blog and I love it! Lately, I have been on this trip and the more I get into it, the more 'coincidences' occur. I have been getting my friend into this as well. Anyway, as dancers, we usually leave our stuff in the backstage during performances. Before leaving, I found this really nice canister for coffee/ water and no one was claiming it. I asked all the people in the area and no one knew whose it was. I decided to take it and give it to another friend who said she needed one. Funny thing is, I found out that the mug belonged to my friend whose into coincidences as well. I gave her back the mug days after and apologized. Couple more days after, I decided to look for the clothes I wore the day of the performance to do the laundry. I couldn't find the pants I used for the show. I slept over in another house so I thought I must have left it there. Looking for it for a day and a half, I was told that my friend - whose mug I sort of stole - found a pair of pants the same day I found the canister. I contacted her and turns out, she actually had it! It's too much of a coincidence right? And after that, I realized how fast karma works sometimes. If you have an interesting coincidence suitable for publication on 67 Not Out please send it using the 'Contact' button under the header of this blog. Will be happy to link to you from the story, if you also have a blog or website. Many thanks, Mike. always like these readers stories. they always seem real to life. Love these stories. The number stories are always fascinating.